Those words resonated profoundly in my spirit: I knew this was God speaking to me, speaking into the reality I was facing at that time where pruning was happening at nearly every level of my life: church, ministry, work, family. I was really thankful for the confirmation, but aware that I needed to know how to fully embrace this process and all that God intended to do through it. What do we mean by pruning? How do we recognise it? Why does God do it? 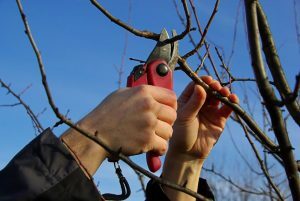 As a keen gardener I don’t have any problem with the concept of pruning – I love winter-pruning my fruit bushes in anticipation of the fruit they will bear a few months later. A lack of pruning – or even a half-hearted attempt – will lead to unproductive plants that are not as fruitful as they could be and that ultimately become weak and unhealthy. There are seasons in our lives when it’s all about the fruit, times when our focus needs to be on stepping out in faith and going and doing the works of the Kingdom. But there are also seasons when God calls us back to the foundations of our relationship with Him and does some deep work on our character; times when there might be fewer external signs of success. “Is God focussing on my ministry or my character?” Because there are times when God is focussed on what He is doing through us, and times when He is focussed on what he is doing in us. (Of course both are often going on at same time, but there will be a particular emphasis that we need to discern). Don’t fight pruning: embrace the season and submit to the process. Hang out with Jesus: do all you can to deepen your relationship with Him and get to know Him better. So I first of all chose to be thankful for the pruning season, and looked for God’s grace in the midst of it. One of the hardest parts of this was the realisation that in a pruning season you can’t do vision and direction. When God is focussing on your character you can’t expect Him to be saying much about your future. I’m usually someone who loves dreaming with God and being led by a sense of vision. But for a season God was asking me walk without a future vision – with no sense of forward direction – only the command to take one step at a time. I needed to stop dreaming about the future. Instead I had to live in the present and concentrate on doing the small things well. of time reading the gospels, particularly thinking about Jesus’ wilderness experience, and how He chose that intense period of retreat before beginning His ministry. And most significantly of all I started (nearly) every day by sitting down with Jesus and asking Him what was happening in the desert that day. 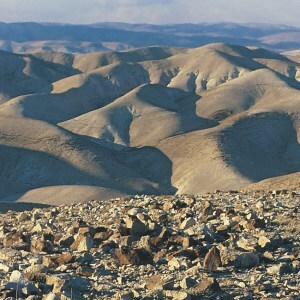 The image of the desert became the metaphor for embracing the pruning process head on. Meeting Jesus in the desert each day and hearing Him speak to me in that place meant that God was able to do some really deep work in my heart. He dug out some ugly and ungodly attitudes and led me through some significant repentance. At times this was pretty painful and a battle to yield fully to this work of major heart surgery, but there is a peace that comes in the midst of the refining process. Jesus, I meet you in the desert. I simply want to be with you with no agenda. I render unto you what is yours. 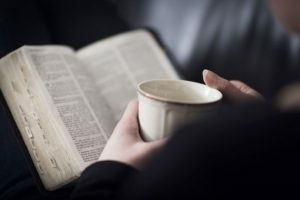 Throughout this process I did loads of journaling and found God was speaking to me through all sorts of ways: blogs that I read, conversations with friends, song lyrics, as well as some significant prophecies. I wrote it all down in my journal. I also learnt the importance of accountability – having good friends around me who understood the importance of this season and sustained me through their prayers. I think I’m probably coming to the end of the pruning season, but I’m very thankful for it. I’m most thankful for greater intimacy with Jesus: He’s so much better than we can think or imagine. I’m trusting Him for the future. And the good news is that God is committed to making us more like Jesus and sometimes this means that we need to retreat and simply abide in Him for a while. Using the metaphor of ‘pruning and fruitfulness’ is a good way to keep track of what God is doing in our lives.